The Broadcast Film Critics Association announced their annual Critics Choice Award nominations, which went pretty much exactly according to script. But then again the BFCA has never really been known for adventurous choices. The complete absence of Tinker, Tailor, Soldier, Spy is a bit disconcerting, even bing ignored in the Art Direction and Cinematography races, which I think is an egregious oversight. This is the first appearance of Stephen Daldry's Extremely Loud & Incredibly Close, which I think we'll be hearing a lot more about as the Oscars approach. I have seen the film, but am still under embargo, but in regards to these nominations, I expect it to play a big factor in the race later on. 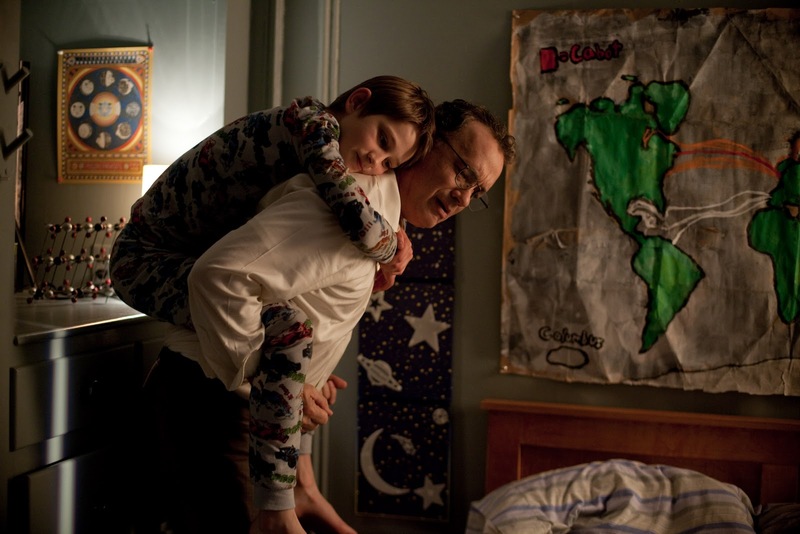 THOMAS HORN as Oskar Schell and TOM HANKS as Thomas Schell in Warner Bros. Pictures' drama EXTREMELY LOUD & INCREDIBLY CLOSE. Thanks as always to Awards Daily for compiling the list of nominations.